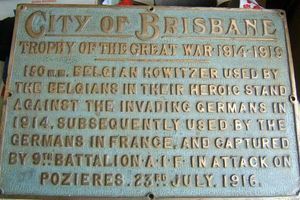 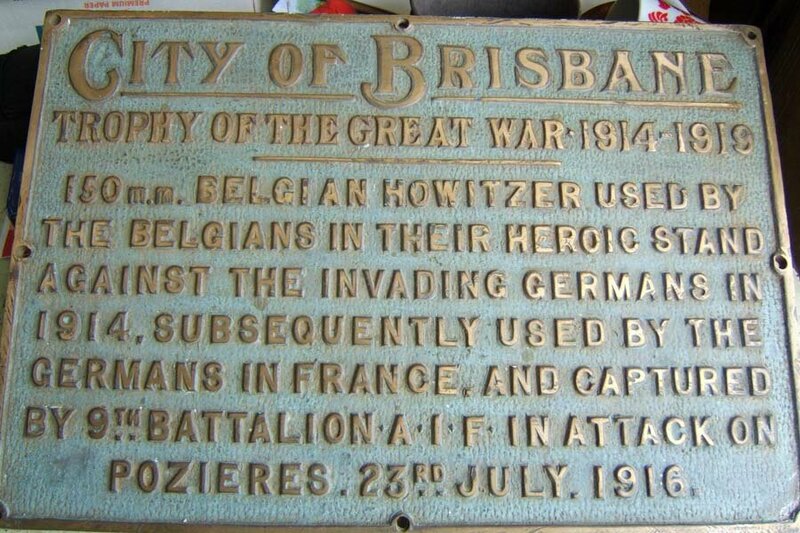 Australia after WW1 but only one survives now at the 9th Battalion Museum, Enoggera, Qld. 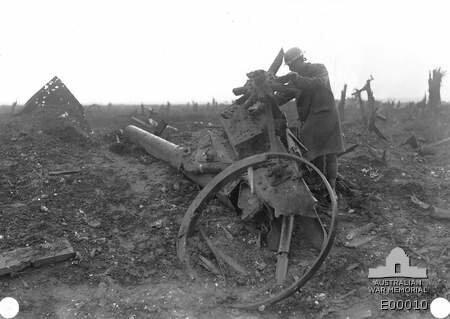 September 1916 - after the battle. 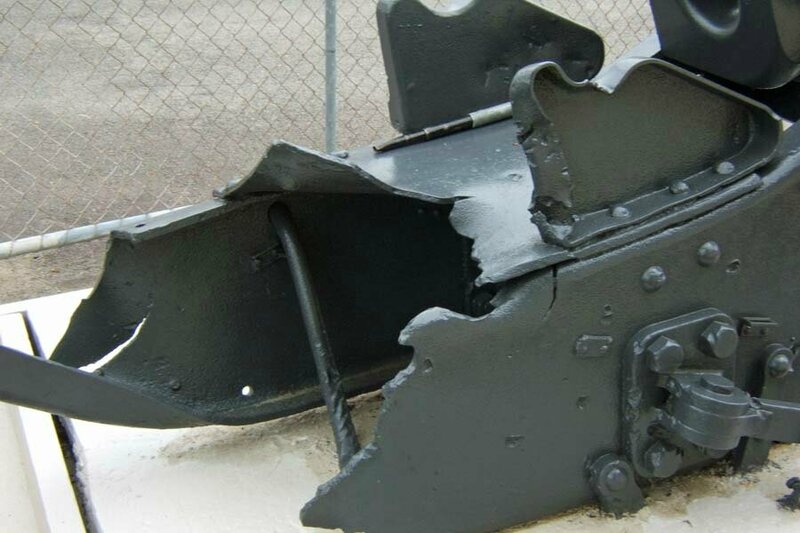 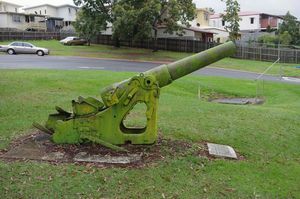 The damaged howitzer was embedded in concrete by the Brisbane City Council and is still partially inside the concrete slab. The 9th Battalion Museum is slowly restoring the howitzer. 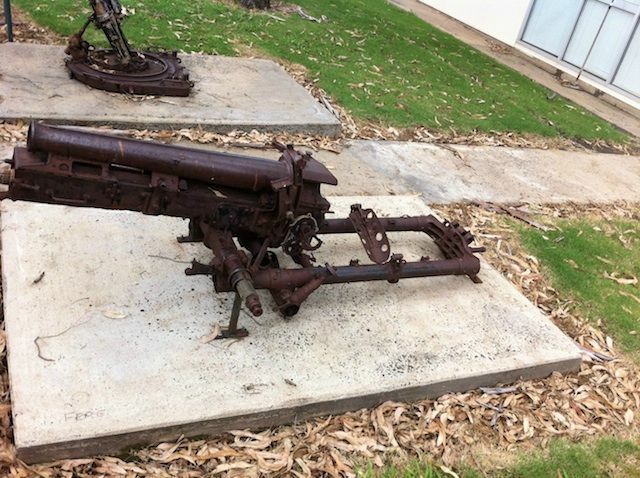 The first image is the howitzer in 2010 - image credit Charlie Clelland. 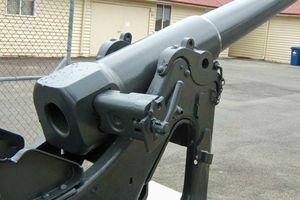 The other, more recent images were taken by Mal Black.